Governor Daisy Avance-Fuentes continues to lead over former Koronadal City mayor Fernando Quirao Miguel in the race for the governorship of the Province of South Cotabato. 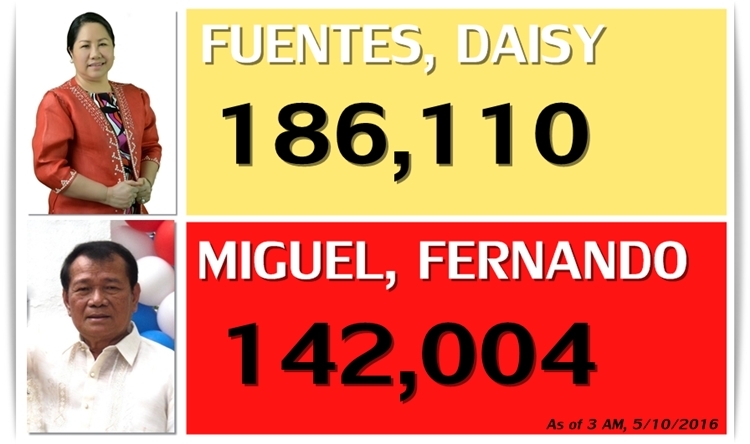 As of 3:00 AM today, 92.64% of all clustered precincts have been tallied and Fuentes leads by over 40,000 votes. SEE partial and unofficial results here.